One guitar, Four voices and one big brass band! 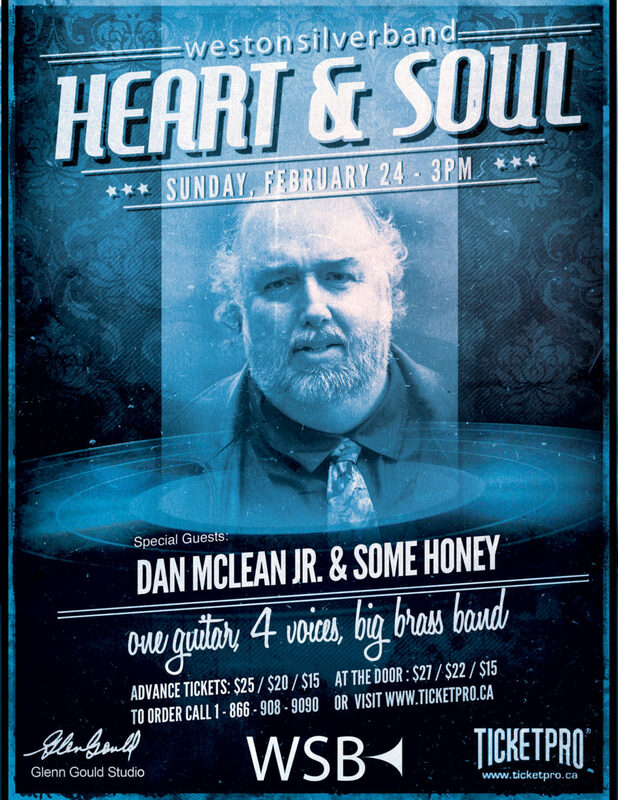 The WSB and special guest Dan McLean Jr and friends celebrate music from the heart and soul. Don’t miss one of the most powerful yet nuanced voices you will ever hear! R & B / Soul with a big brass spin! No service charge on advance sales of E-tickets! Order on-line and print your ticket at home!